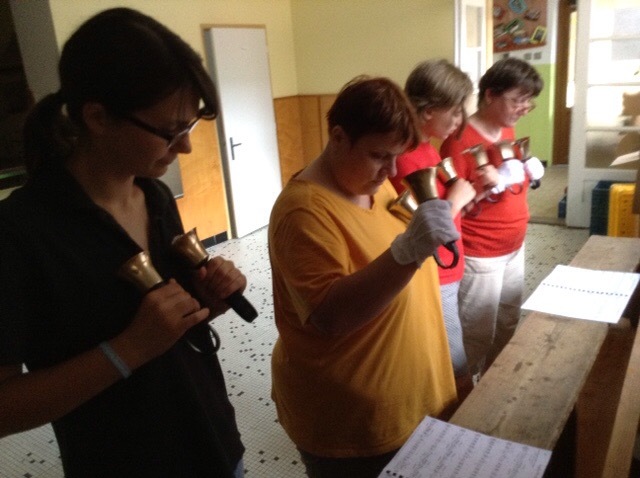 Southminster Ringers » Blog Archive » Katerinice Camp – not so beginning ringers!! Watching the very quick progress of our “beginning” ringers is almost frightening – they are very quick to learn and they are already ringing very well. 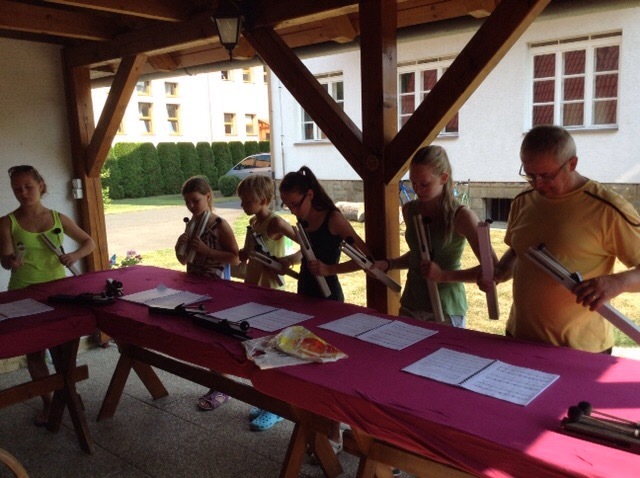 Our ringers from the music school in Hrotovice are just amazing. 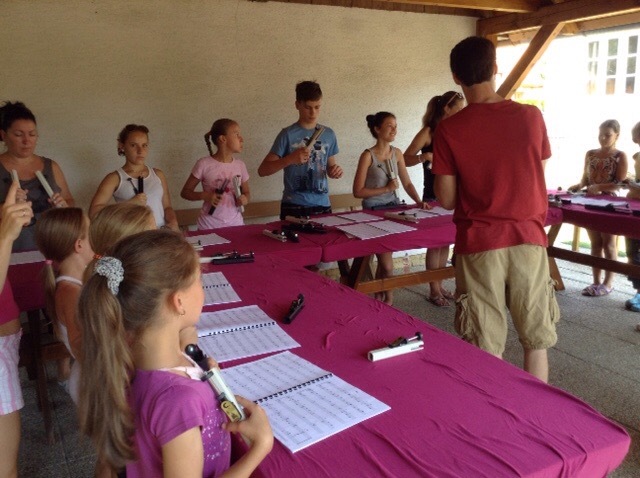 They have been quickly working their way through more difficult music each day. 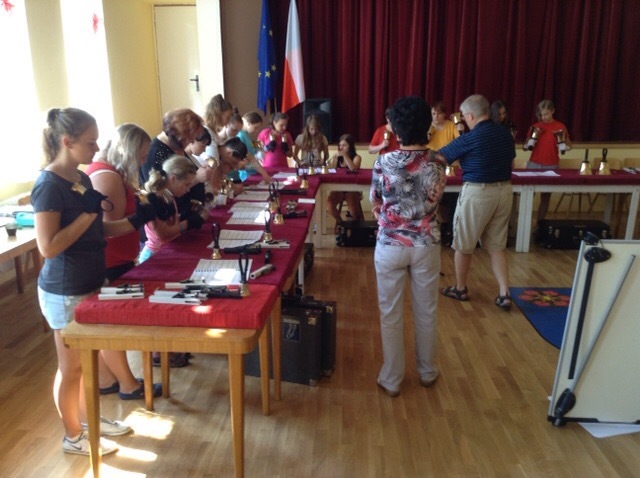 Our Katerinice ringers already had some experience, so they move at a rapid pace as well. 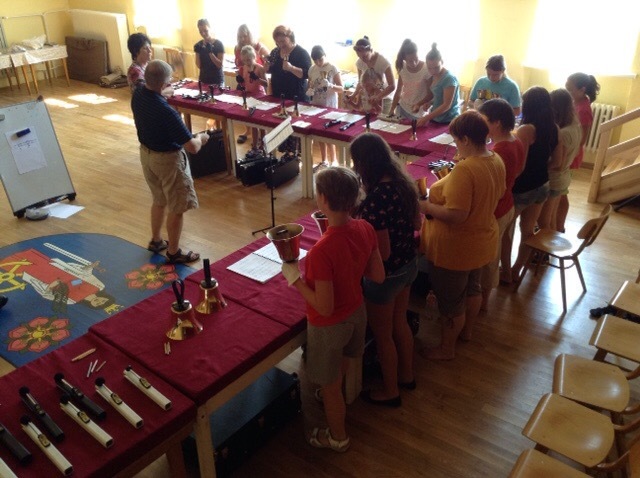 This afternoon we broke them into smaller groups and began teaching small ensemble ringing where pieces are rung with only four ringers. They quickly adapted to the new style of ringing and, once again, moved at a faster pace than we had anticated. 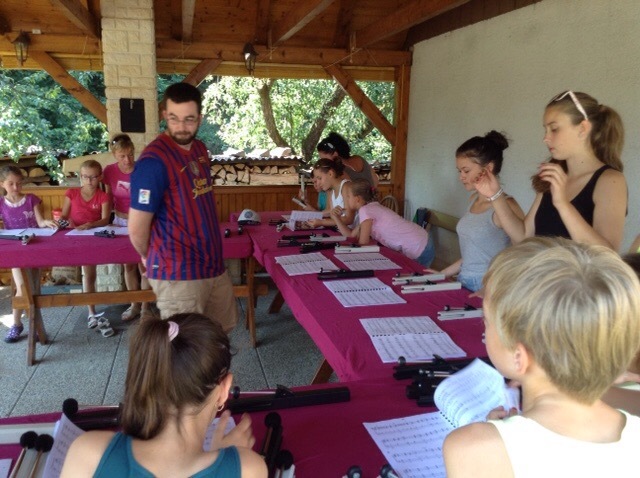 Fortunately, we have more difficult music at our fingertips and we can still challenge them throughout the rest of the week. What fun!! Very interesting. I’m so glad to hear that there was a lot of interest in what the young people could teadh them. 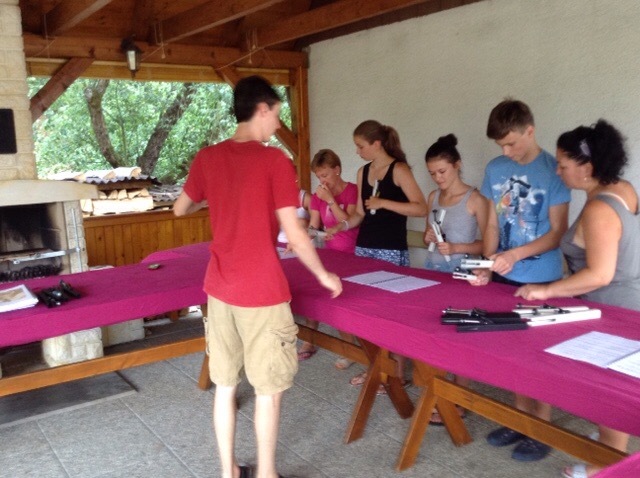 What an experience for our grandkids, to say nothing of the results from the peoplle theyn were working with.